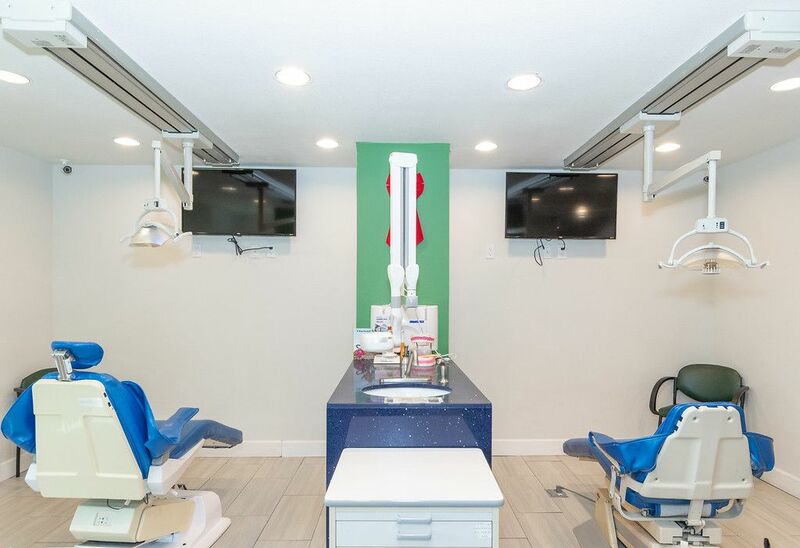 Dr. Sadek specializes in creating a child-friendly dental office where children feel safe getting their dental needs met. We firmly believe in connecting and communicating with the child, no matter how young or old. 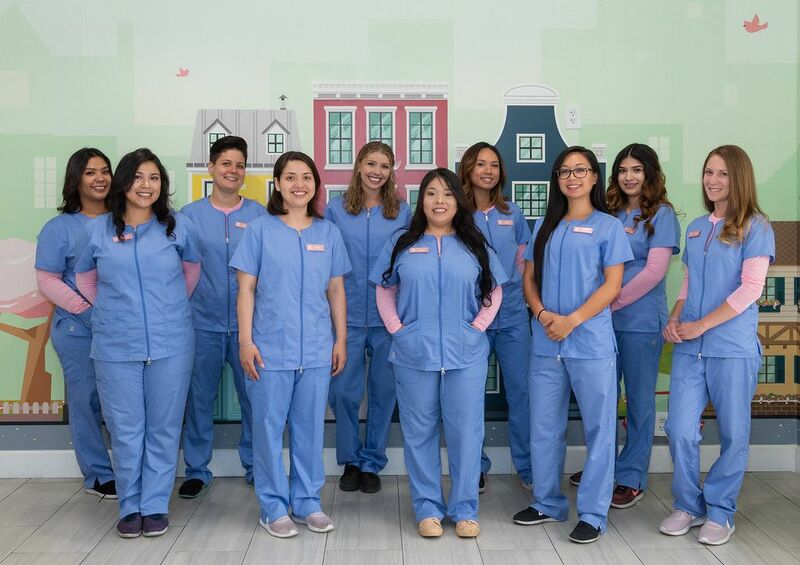 Through clear, age-appropriate communication combined with skillful, painless dentistry using state-of-the-art technology, we treat children by gaining their trust. 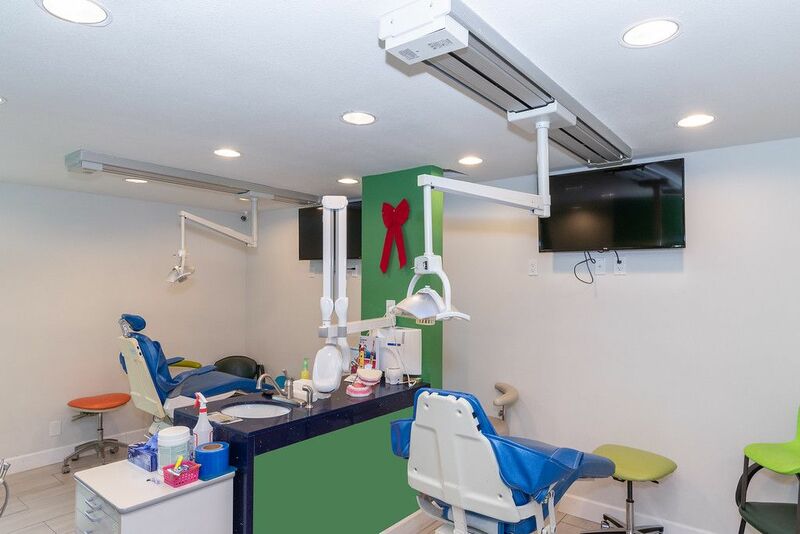 With a great deal of patience, skillful communication, and painless dentistry, Dr. Sadek succeeds in gaining the child’s trust and completing desired dental treatment. Parents are encouraged to be in the room as a source of support while your child undergoes a procedure. 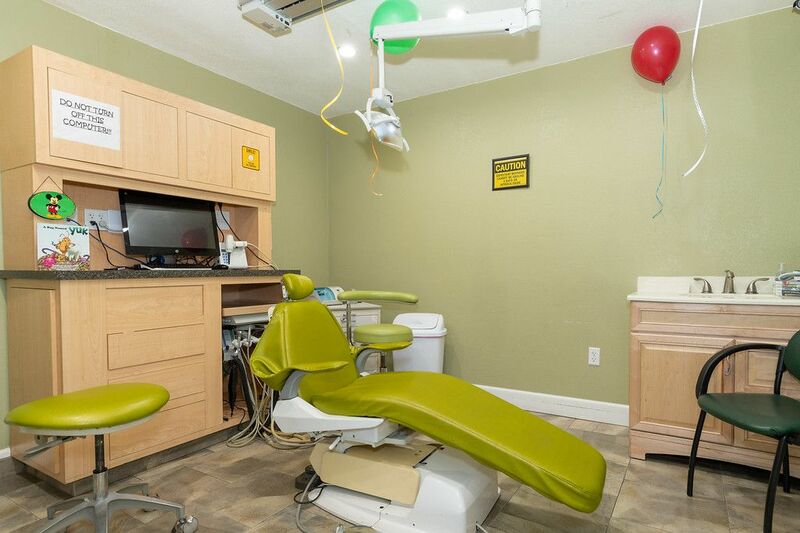 "Our daughter's were referred here by my regular dentist. At first I was sceptical but then I seen how nice the staff treated my two daughter's. Dr was the best!! While working on their teeth he sang and talked to them while they watched a movie that they got to pick. I defiantly loved it! They ca..."
"I was super nervous to go here based off of some of the negative reveiws but was like screw it. My baby needs her tooth fixed and they got the nitrous gas. So anyways. Staff is friendly and so is the doctor. But listen folks he is dead serious about keeping your mouth shut and letting them do t..."
"The staff is incredibly sweet and caring. Every time I come, the staff knows me by name and always welcome me. Great place." "Thank you for a great experience, my daughter sat down for the first time and allowed her teeth to be cleaned without any screaming. The staff and doctor definitely knows how to work with children and that is the reason he is booked 4 months in advanced. It’s been a long journey to find..."
"Well let me tell you Dr Sadek is an Amazing Dentist so caring to the kids he takes his time to make them feel comfortable and safe he builds a relationship with them my kids love going to him. Dr Sadek saw my 1 year old and to get him used to it he comes out to the lobby to introduce himself ..."
"It's always a pleasure going to this office!! Juan, Nick and David Guerrero have been patients there for years! !" "I love the staff and how friendly they are...they build a bond with the kids and always talk directly to them to make them comfortable ! They work with the kids and go on their pace to not scare them or traumatize them like our last dentist! My kids love going there . The Dr’s are amazing , highl..."
"Thanks, Dr. Sadek! My daughter is afraid of doctors in general, but not of you. You kept her happy during the whole visit. I’m still amazed that you do dentistry without shots and only nitrous. You definitely have a way with children." "I just had the best experience here! I want to thank everyone for being so calm working with my daughter. My daughter came home happy after her visit. 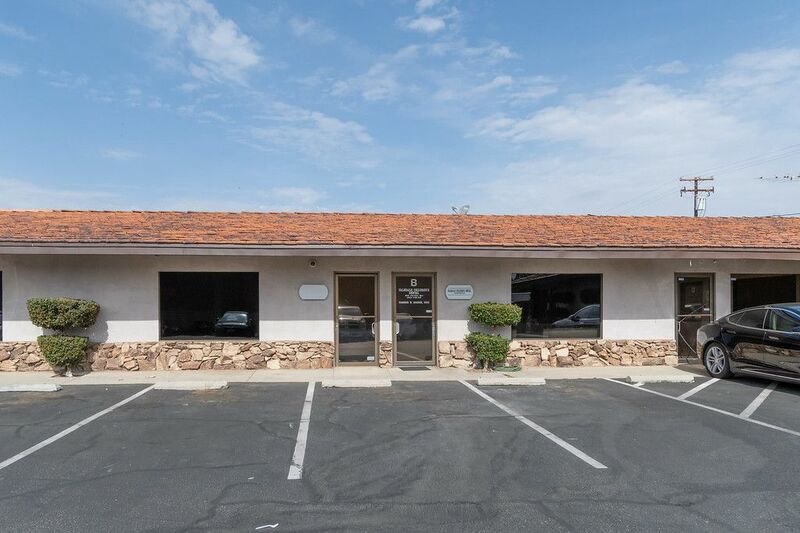 I will recommend you to all our friends here in Palmdale." 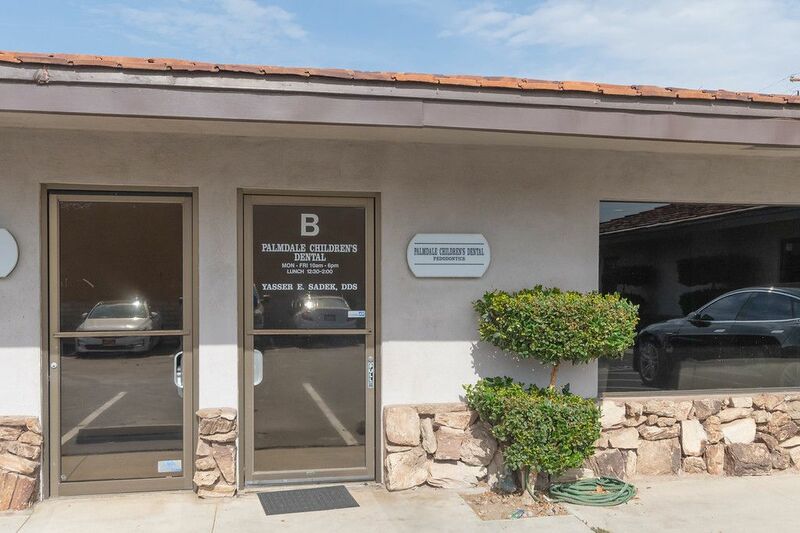 "We had been to at least 3 disappointing children’s dental offices before we found Palmdale Children’s Dental. Now I can’t imagine taking them anywhere else. The staff and Dr Sadek are amazing. They actually care about your child and it really shows. Best in the AV if you ask me💕"
"Took my girls in the Dr and staff was very nice made my kids feel very comfortable . Everything was clean and well,kept. Shannon at the front desk was extremely helpful and great with the kids. 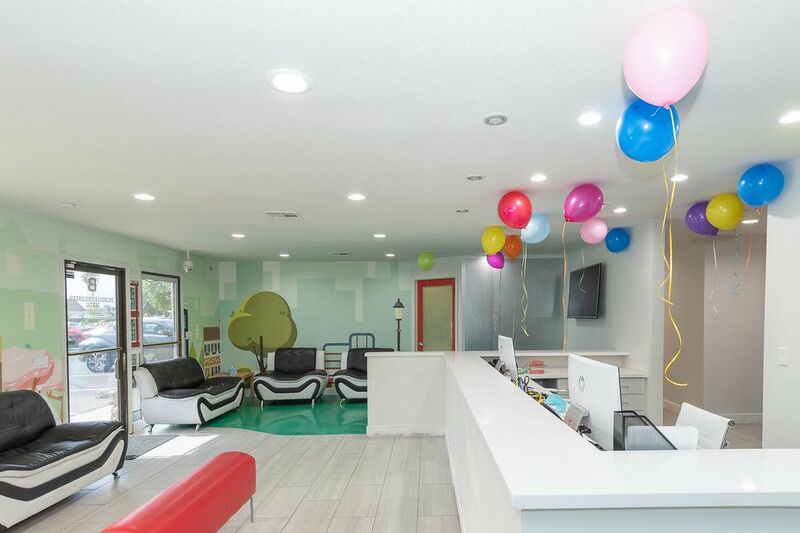 Would recommend taking your kids here"
"Well let me tell you, Dr. Sadek, is an Amazing Dentist so caring to the kids he takes his time to make them feel comfortable and safe he builds a relationship with them my kids love going to him. Dr. Sadek saw my 1-year-old and to get him used to it he comes out to the lobby to introduce himself ..."
"Absolutely LOVE this place. The staff & dentist are amazing! They take their time with each child and work with them on calming the anxieties a child may be feeling. They are compassionate. We have been coming here several years! We highly recommend them!" "Here is the deal. This doctor is amazing. He works with the kids, making them feel comfortable is his main priority. As an overprotective mother, this is something I can truly appreciate. When I was told my toddler was going to have to be sedated and restrained I was very upset. He makes my Elena..."
"I love this dental office!!! Everyone that works there is perfect for working with children. The dentist is a godsend. Joey loves going to the dentist since he started going here." "This place is great. He makes my kids totally comfortable and most importantly has their trust. Wouldn't take my them anywhere else!" "My son has sensory issues and will gag at even the thought of something or someone in his mouth! I expected the worst before our appointment and left pleasantly surprised at how easy the entire appointment went. 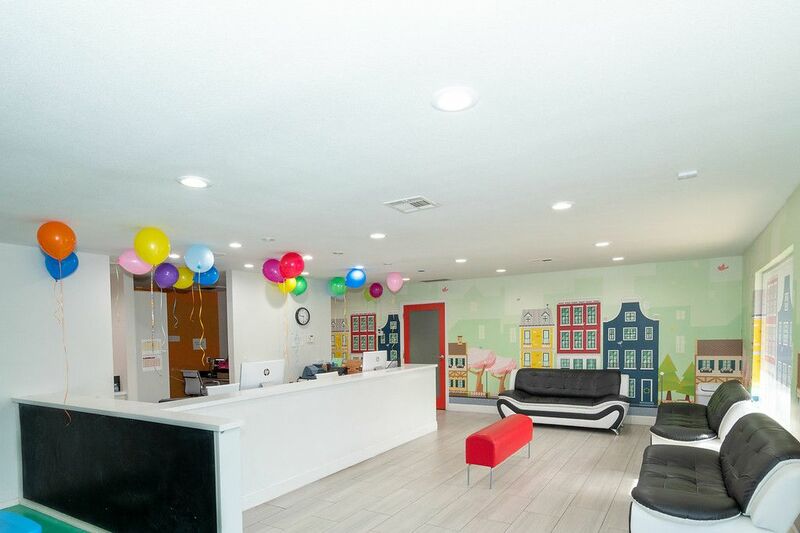 They made him feel comfortable, went overboard making him feel special (sending us ho..."
"My daughter is three and just got her cavities filled and had a great time meeting the Dr. and staff. They are so welcoming to all the kids and parents." "My son is 3 and has difficulty with new people and gets scared when people get near his face. Today, their staff showed Kai the attention and respect that made him comfortable. They played with him, made him feel like they were his friends. I was amazed by the loving and attentive ways in which t..."
"They are amazing at this office. Friendly staff and the dentist is so nice. My 3-year-old has to be bribed to leave the office. My son had to have a root canal and the doctor did great with my son. He made my son want to brush his teeth and keep them clean. I really can't say enough good about th..."
"We have found our forever dentist. The staff is amazing I saw a kid crying in the lobby and the lobbyist was nice to go and comfort the toddler with a ballon. I have to say the kids leave happy looking forward to going back with the kids." 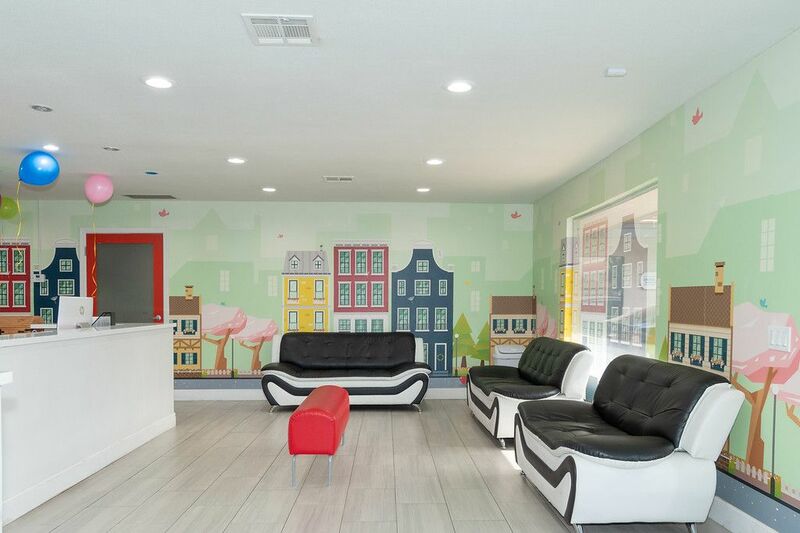 "amazing dentist office my 3yr old son left wanting to go back. thank you, staff and Dr for not giving my son a non-traumatic experience." "They truly are amazing!!! When I first took my kids to them they were afraid to be seen because of the way things were done at their old dentist my daughter was traumatized. When the Dr came out and started to talk to them and read a book to them and even played with them they were more willing t..."
"Both of my kids go to Dr. Yasser Sadek for their dental care. I met Dr. Sadek in San Diego, where he lives, but he practices in Irvine & Palmdale, and we drive all the way to Irvine (from San Diego - and before he opened his Irvine office, we drove to Palmdale!) to see him because of his amazing ..."
"Found them on Google and yelp review and I am so happy I decided to take my daughters there. My daughters love them since we walked in there. Very friendly and happy environment. The staff are awesome and so does the docs. The doc went to the waiting room and read them a book and explain to them ..."
"Took my little 3-year-old here today. His first dentist visit ever. It was amazing!!! The staff was great! The doctor was great! Everything was perfect! Such caring and attentive people. They made my son feel so comfortable and eased my nerves as well. So lucky to have found them!" "I can't express how thankful I am to have found them. They are the best. Everyone in the office! My son was terrified and he was so comfy with the entire staff. I highly recommend Dr. Sadek." 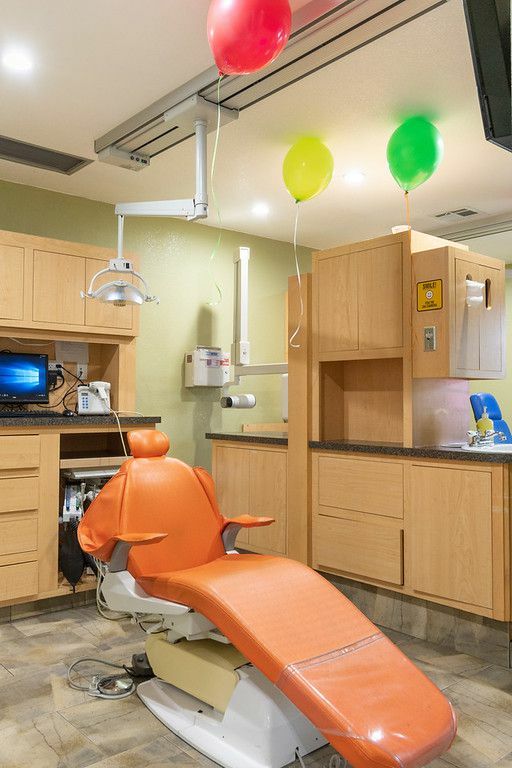 "My son had a HUGE fear of the dentist before coming here. Now he keeps asking when is my next appointment mom. Awesome staff would recommend them to anyone. Too bad he does not take adults or I would go too"
"My experiences at Palmdale Children's Dentist have been so wonderful! My oldest loves going to the dentist! He gets really excited when I tell him we are going! The staff is all so friendly and very child oriented! They take the time to ensure the child knows what is going on and gives the child ..."
"Listen... By far, this is the BEST children's dentist on the planet! My 9 y/o daughter is the most perfect child any parent could ask for... Until you get her in a dentist office. She has a serious fear and major anxiety all while in need of care. After countless attempts at other offices, we fin..."
"This dentist and his staff are amazing!!! Yassir cares so much for the children and every time we go there we have nothing but a positive experience. I will recommend this office to any parent!!" "Wow! What a great experience! Dr. Sadek is a warm, sweet doctor who put my child at ease instantly! A visit to the dentist as a child can be scary, but not for us. His chairside demeanor was perfect-he really knew how to talk to my child and delivered wonderful care. I highly recommend this ..."
"amazing denist!! Dr. Sadek is super sweet and makes coming to the dentist easy breezy! he explains procedures in detail using patient friendly terms so we understand what is going on. i highly recommend him :-)"